It seems there is a renovation boom in Arncliffe. All those Victorian and Federation detached houses are getting a new lease of life. Don’t forget to renovate your security as well, with your Arncliffe locksmith. Fusion Locksmiths are well informed with all the relevant legislation and building codes of Australia guidelines, so you know you are getting a high standard of locks and security. 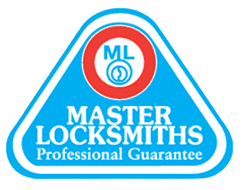 We are also members of the Master Locksmiths Association of Australasia, following the strict locksmith industry standards. Top Brands & Leading Technology in Security! Strong and sturdy locks with the latest technology is what you need for the best security. Fusion Locksmiths utilise all the major brands in security and locks and carry a wide range in every fully equipped truck. 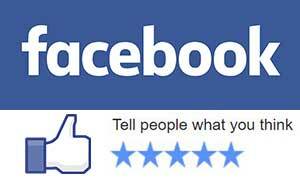 Allow us to recommend the best product for your home or business and budget. We believe strongly in our workmanship, so much so, that every job comes with an outstanding 18 month guarantee. Having worked with locks for over ten years around Arncliffe, we know locks and security and have experience with what works best. Whatever your lock issue is, Fusion Locksmiths are here to help you and your family feel safe by protecting your valuables from intruders. We are a 24 hour, 7 day lockout service covering South Sydney, including Arncliffe. We are always on standby to respond immediately when you call. Then one of our experienced locksmiths will be to your door within the hour. We specialise in emergency locksmith services in Sydney and we are fully equipped with mobile workshops to access and secure your premises following your call out. If you have lost your keys – no worries, we will replace them on the spot. Our locksmith service includes residential houses and units, as well as commercial, retail and industrial locations for all types of locks. Standard locks should be opened within 5 minutes, however restricted type cylinders can take longer. Either way we will have you inside in no time. You may not take much notice of your locks on the doors or windows but when was the last time you made sure they were working properly? Are they able to withstand a break-in? As local Arncliffe locksmiths, we are experts in locks and security in your area. We know the best locks to use for different doors and lifestyles. Call us today and let’s arrange a quick check of your home or business premises. Let’s get your security up to date. With our wide range of locks from trusted brand manufacturers, we recommend a lock or security system to fit your home and budget.